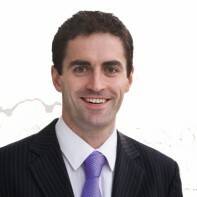 Fianna Fáil have selected Senator James Carroll as one of the party's two candidates in Louth. Carroll made his entrance in local politics when he was elected to Louth County Council in June 2009. He was elected by the Seanad's Administrative Panel in November 2009 and, at twenty-seven years of age, is the youngest member of either house of the outgoing Oireachtas. In October 2008, Carroll represented Ireland in an international Pitch and Putt fixture versus Holland. When I see this candidate it reminds me of why Ireland is in trouble.